Senator Chris Van Hollen was elected to the United States Senate in 2016. Senator Van Hollen serves on four Senate committees: Appropriations, Banking, Budget, and Agriculture. Senator Van Hollen has been recognized for his efforts and leadership in a range of areas of including education, foreign policy, environmental protection, protecting the rights of federal employees and civil rights. 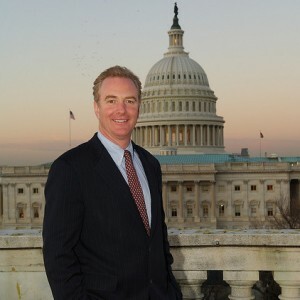 Roll Call newspaper named him one of the “rising stars” in Congress and the Washington Post noted that Van Hollen “has distinguished himself as a shrewd legislative player.” Previously, he represented Maryland’s Eighth Congressional District in the House of Representatives from 2003 to 2016. He also served in Maryland's House of Delegates from 1991 to 1995, and the State Senate from 1995 to 2003.